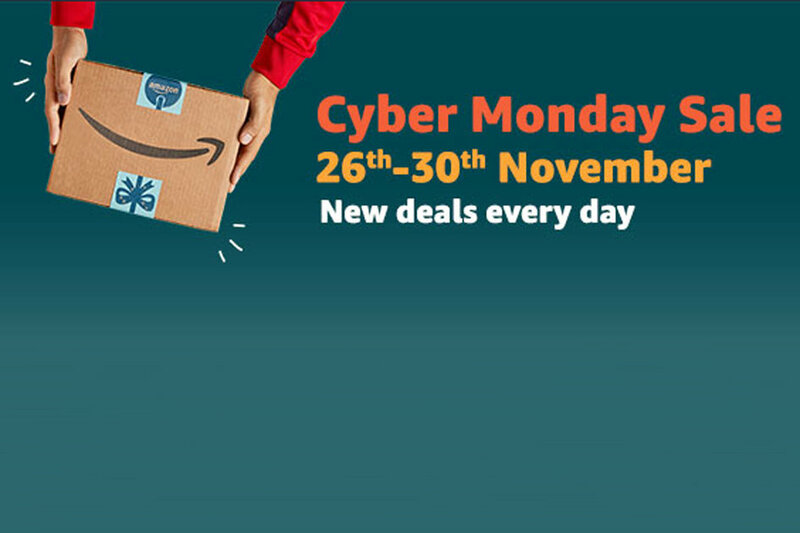 Amazon UK Cyber Monday Sale 2018: The best deals – all end at midnight tonight! Amazon UK’s Black Friday Sale saw some top deals and now the deals behemoth has morphed its huge sale into a few days of Cyber Monday deals. There are thousands of products available on Amazon’s dedicated UK Cyber Monday pages with some amazing discounts. Don’t have Amazon Prime? You can sign up for a free 30 day trial to Amazon Prime but Amazon also has another promotion running until 5 December for non-Prime customers. You can enjoy free standard delivery when you use the promo code FREEDELIVERY at checkout. As always during Amazon sales, there are some major discounts on even newly-released Echo devices. • Huawei Mediapad M5 10-inch tablet: Save £91, now £258.99: A premium design tablet with a metallic frame, four Harman Kardon speakers and a 13MP camera. What’s not to like? View this offer here. • Huawei Mediapad M5 8-inch Tablet: Save £80, now £219.99: The smaller version of the Mediapad M5 but with similar premium design traits including an ergonomic and aesthetic build with curved glass and a metal body. View the Mediapad M5 deal here. • Samsung Galaxy Tab S3: Save £205, now £394: A premium tablet from Samsung with four AKG speakers, an included S-pen and a 6000mAh battery capable of 12 hours of video playback. Click here to see this offer. • Samsung Galaxy Tab S4 10.5-inch tablet: Save £103, now £496: A powerful tablet running Android 8.1 with 64GB of storage and Samsung DeX to make it capable of using your tablet as a desktop PC. Click to see this deal on Amazon. • RHA MA750 wireless in-ear headphones: save £50.96, now £98.99 (was £148.05). With its 12 hours of battery, the RHA MA750i is among the longest-lasting neckband in-ears around. Even before the discount, this set sounds way better than its price point suggested, thanks to using really high-end design and drivers. They’re IPX4 sweat-proof and the earbuds are built from stainless steel. View the RHA MA750 offer on Amazon. What will Amazon UK be doing for Black Friday and Cyber Monday? In addition to Deals of the Day, there will also be thousands of Lightning Deals. You probably know the deal here, but they’re products available at a discount, in limited quantities, for a short period of time – with new deals becoming available as often as every five minutes. These tend to sell out quickly. Amazon Prime members will have a 30-minute early access period to all Lightning Deals. Not a member of Amazon Prime? Then get the 30-day trial. Amazon is introducing AR View – a new augmented reality feature in the Amazon app – so just like Ikea Place you’ll be able to see some products in situ in your home. Prime Wardrobe will also be available, enabling you to try before you buy. And Prime Now will also be available in many areas for Black Friday deals. Some of 2017’s most popular sale items included the Echo Dot, Call of Duty WWII and Finish Lemon Dishwasher Tablets. Below are quick links straight to the Black Friday deals pages for the top retailers, just in case you’re looking for something that we haven’t covered.